Malaeb, a Bahrain-based startup that lets people book sports venues has raised seed investment led by Saudi’s Raed Ventures with participation from two other Saudi-based VCs, Vision Ventures and Inspire Ventures, and 500 Startups. The startup did not disclose size of investment. Co-founded by Ahmed AlRawi and Yasser Hadi, Malaeb through its mobile applications help people find and book sports venues near them. The startup currently allows booking of football fields only but has plans to introduce other sports as well. Users can also create teams and challenge others using Malaeb’s mobile applications. The startup that has hundreds of fields registered with them, has helped more than 100,000 players play their favorite sport until now. “I’m very happy to see the progress we reached to so far which led to this investment. Malaeb has grown rapidly in less than a year and a half. We are operating in 4 countries and we helped over 100,000 players play their favorite sport. You can find and book your football field from the app, as it is very difficult to find the suitable field and go through the booking process. We offer hundreds of sports fields to solve that issue,” said Ahmed AlRawi, the Co-Founder & CEO of Malaeb. Currently available in Bahrain, Kuwait, Oman and Saudi, the startup has plans to expand into other countries of the region. Malaeb will use the investment to accelerate its growth in GCC and build smart technologies to create unique experience for football players. 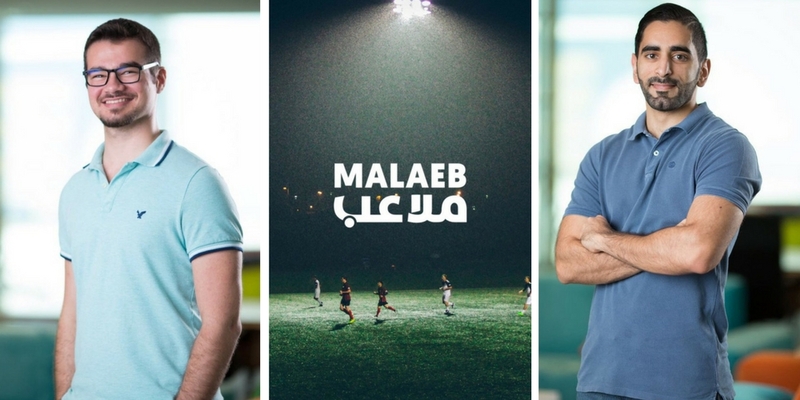 “This is only the beginning for Malaeb, and we have a long way ahead with plenty of challenges that we’re looking forward to as we reach to our vision to create an unconventional social experience to the way sports are played. We are focusing on further expansion in Saudi and other GCC countries, and other surrounding countries soon after. Introducing other sports is also something in our plans where you can book and play almost any sport.” he added. Raed Ventures and 500 Startups have been very active lately. Both of them had co-invested in Saudi FoodTech startup Foodics last month. It’s also the second investment of Saudi-based Vision Ventures in the last two weeks or so. They had announced an undisclosed investment in mental healthcare startup Sibly earlier this month. “We decided to invest in Malaeb because of the great founders and team behind it. Another reason was the maturity of their platform and its ability to scale and move to other GCC markets easily. Also, we believe this direction is in line with the Saudi Vision of having more of the youth become active physically.” Kais Al Essa, Founding Partner & CEO of Vision Ventures told MENAbytes.